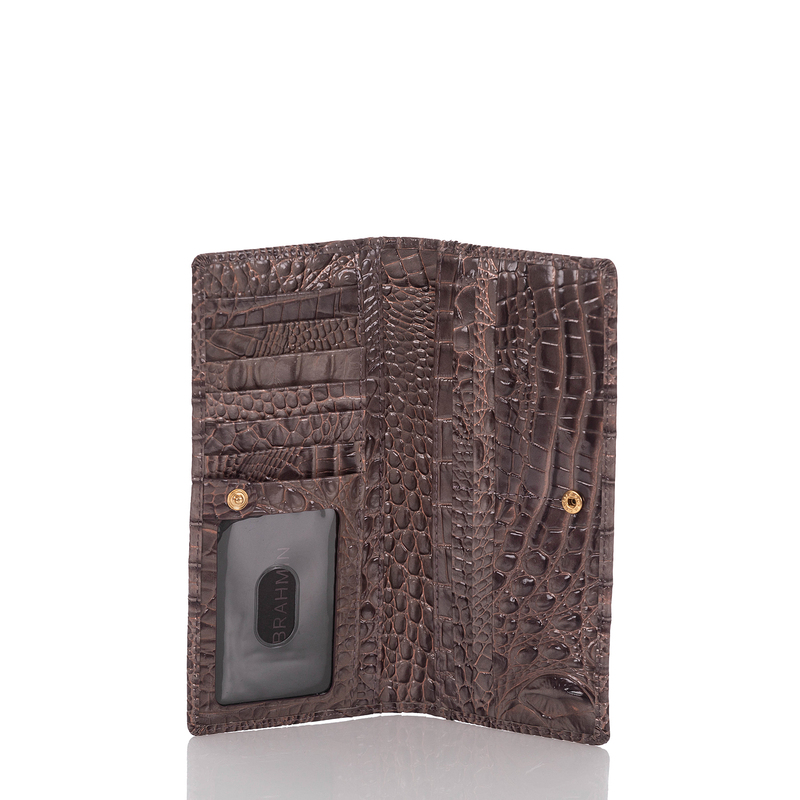 The Ady Wallet is exactly what you have been searching for. 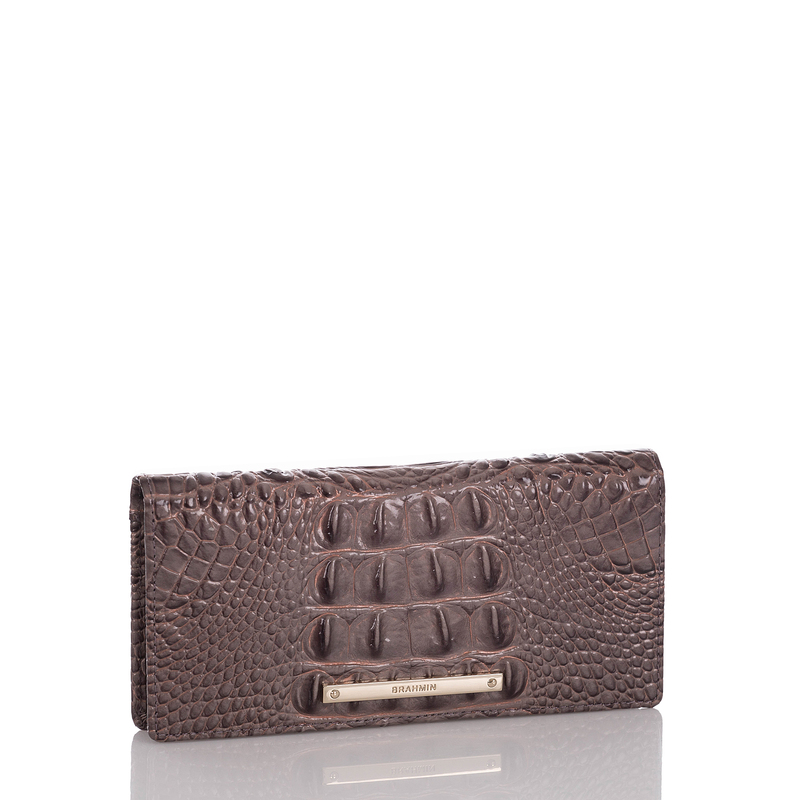 Super sleek and light weight with plenty of credit card slots and a zip pocket for your change. 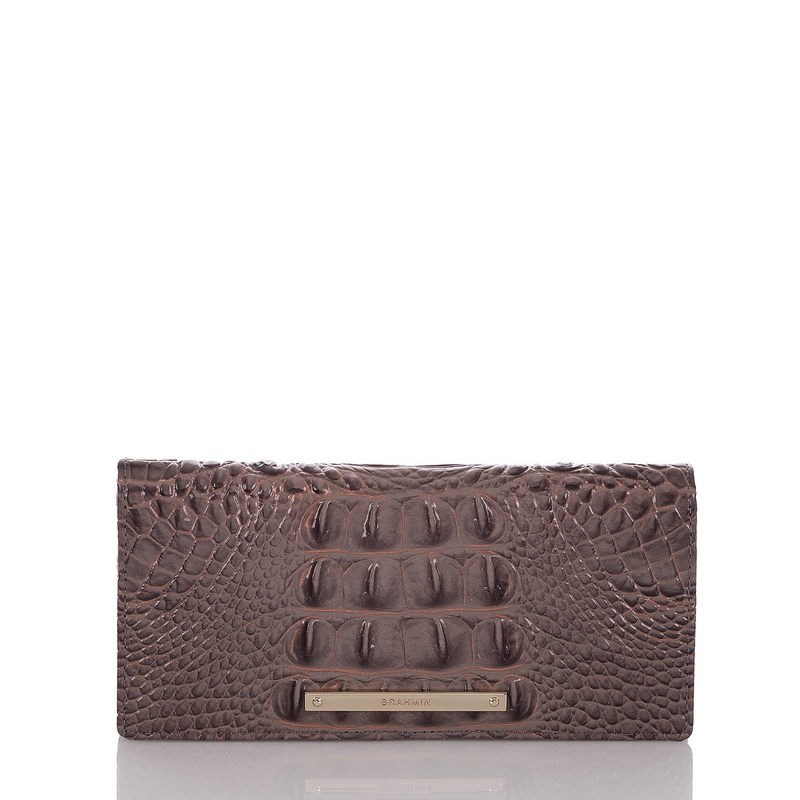 Extremely functional with its flat design, perfect for fitting in your favorite clutch or crossbody. 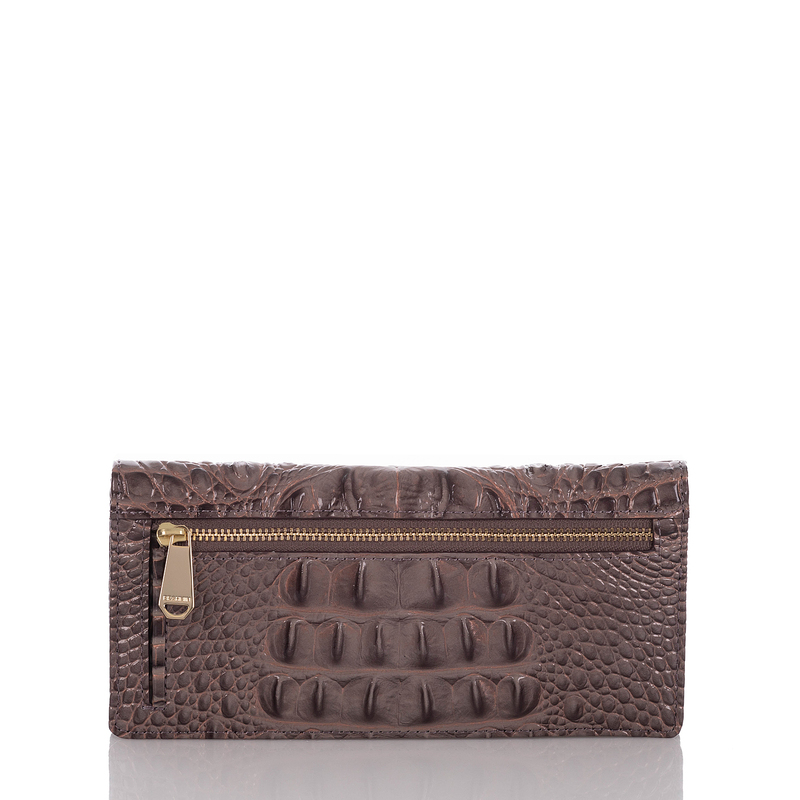 Featured in Aubergine Melbourne, our signature croc-embossed leather in a muted near-neutral eggplant hue. A subtle copper tinge adds dimension to this everyday style. Genuine leather. I have a few Ady wallets and tend to get a matching wallet for certain color handbags that I love. This aubergine color is beautiful and I purchased it to go with the Juliette handbag..One of my favorite Brahmin sets! !